Peter B. Hickey, who started his 65-year career in the newspaper business as a teen-age freelance photographer in Boston during the 1940s, died in Danville, Calif., on November 18, after a period of declining health. He was 89. Hickey was born in Brockton, Mass., in 1929, the son of John A. and Katharine (Ford) Hickey. He attended Thayer Academy in Braintree, Mass., and started work as a freelance news photographer at the age of 14. He made The Boston Globe his base of operations, helping himself to the photo department’s film and using its darkroom to process his photographs. He would give Globe editors first choice from his pictures, then peddle the rest to the other half-dozen daily newspapers and news services that operated in Boston in the 1940s. Hickey served in the Army during the Korean War as a photographer assigned to the 3rd Division. He wrote about his experiences during Army training in a series of stories for his hometown newspaper, the Brockton Enterprise. After training, he requested a transfer to active duty in Korea. During the war he saw service with army units from Great Britain, Greece and Turkey. He was awarded the Bronze Star and received several battlefield promotions, leaving the Army in 1952 with the rank of Sergeant First Class. He joined the United Press International news service as a photographer in 1952, working out of its Albany, N.Y., bureau. He worked briefly as the editor of the Maine Coast Fisherman magazine in Camden, Maine, before joining the Gannett Co. as a photographer at the Rochester (N.Y.) Times-Union. Her held several leadership positions at the Gannett Rochester Newspapers before joining the corporate staff in 1972 as director of special services for Gannett News Service. He served as president of Empire Newspaper Supply Co., a company subsidiary that coordinated the purchasing of newsprint, equipment and other supplies for Gannett newspapers. He was publisher of the Ithaca (N.Y.) Journal from 1977 to 1979, when he was appointed vice president of corporate operations. In 1982, he directed the establishment of the offices of USA Today, Gannett’s then-new national newspaper, in Arlington, Va. He later oversaw the relocation of corporate headquarters from Rochester to Arlington and established offices for the company in New York, Chicago and Los Angeles. Hickey retired from Gannett in 1986 and he and his wife, Margaret, moved from Reston. Va., to Calistoga, Calif., where he began a commercial photography business and supplied feature photographs to The Weekly Calistogan. 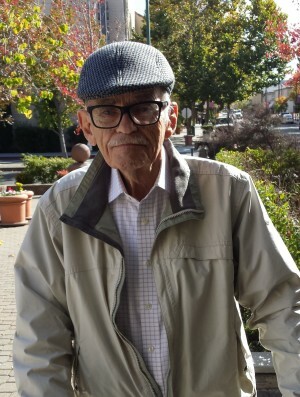 He was active in the Rotary Club of Calistoga for many years and was a communicant and usher at St. Helena Catholic Church in St. Helena, California. Hickey was predeceased by his wife, Margaret (Jones) Hickey. He is survived by three sons, John Hickey and his wife Nancy of Danville, Calif., Charles Hickey and his wife Jody of Brockton, Mass., Robert Hickey and his partner Annette Stewart of Rochester, N.Y., and two daughters, Carolyn Hickey of Cardiff-by-the-Sea, Calif., and Katharine Happy and her husband Frederic of Clayton, Calif. He also is survived by 12 grandchildren, Charles Hickey and his wife Kelley of Burbank, Calif., Erin Blackburn and her husband Theodore of Danville, Calif., Emily Hickey and her husband Bradley Taylor of Somerville, Mass., Regan Hickey of Chicago, Caitlin Hickey of Rochester, N.Y., Patrick Repko of San Francisco, Edward Repko of New York City, Shannon Hickey of New York City, Alexandra Repko of Washington, D.C., and William, Meredith and Sarah Happy of Clayton, Calif. He also is survived by three great grand-children and several nieces and nephews.